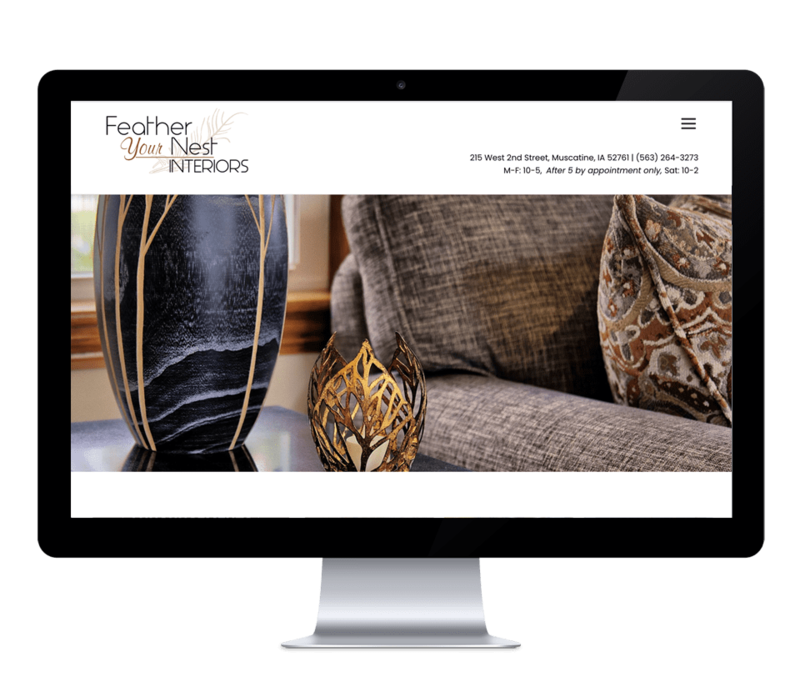 Feather Your Nest needed to be able to showcase their beautiful interior design work online in order to give prospective clients a glimpse of what they are capable of doing, while also aiming to drive more foot traffic to their brick and mortar location in downtown Muscatine. They provided excellent, high-quality photography so we could emphasize their work front and center, and the goal was to minimize the extra website design components so as to not distract from the work itself that would be displayed in the photographs. 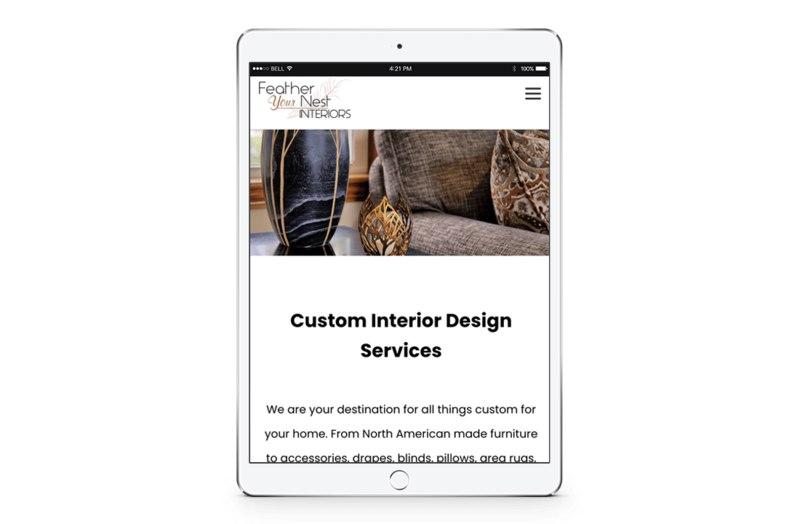 Feather Your Nest Interiors, Inc.
Feather Your Nest got a beautiful new website that matches the same level of beauty and quality that they provide both in their interior design services and their brick and mortar retail location. 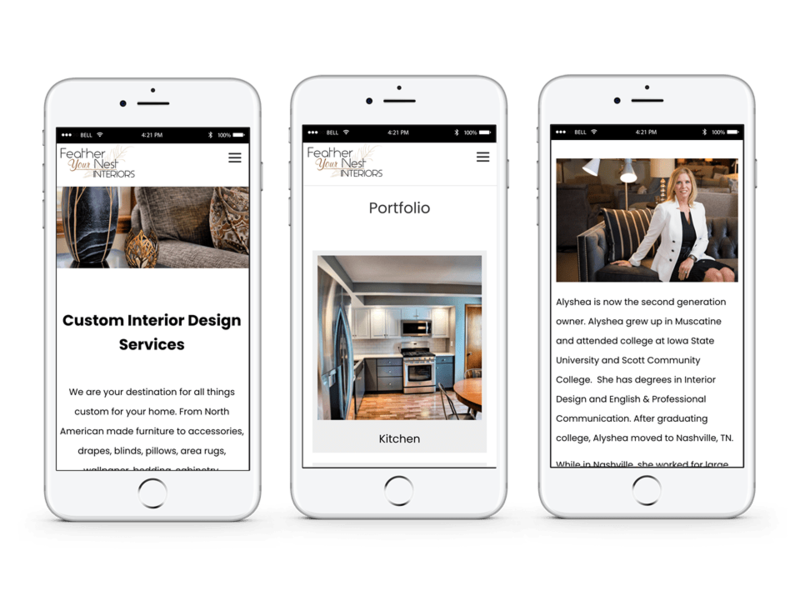 The level of thought and care that goes into each of their elegant design projects is reflected in this equally elegant, yet understated website design that allows for their work to be highlighted and showcased to all website visitors.